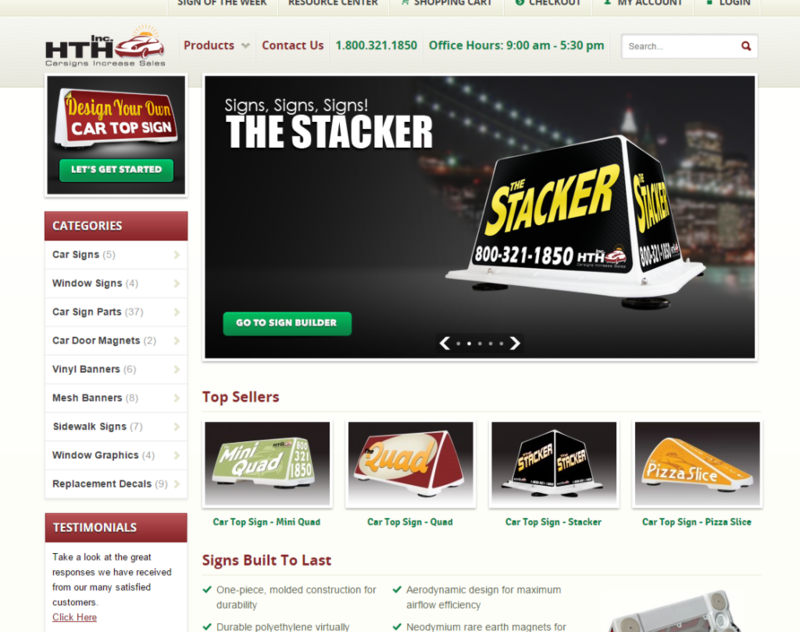 In business since 1984, HTH Signs is the largest producer of car top signs in the world. It supplies signs to major pizza chains in the U.S. and abroad including Papa John’s, Pizza Hut, Domino’s and Hungry Howie’s as well as hundreds of other customer-service businesses. 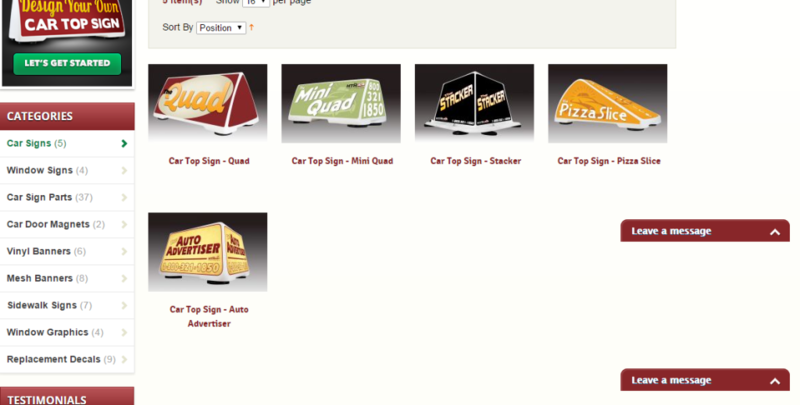 The company also makes sidewalk signs, vinyl banners and store window graphics. The client had recently redesigned their website. Now they were ready to update the copy. However, they wanted to keep the content to a minimum, believing that visuals of actual signs they’d produced would better demonstrate to the customer their capabilities. Nonetheless, they did want to point out the quality that went into their work. They also wanted to include some credibility statements such as they own 18 car top sign-related patents and have a 35,000 state-of-the-art manufacturing facility. Susan Greene, freelance writer, crafted concise copy that gave the key features of the company’s signs and emphasized the benefits of using vehicle promotional signage. It also positioned the company as the global industry leader. The client was so pleased with the website copy that they also hired Susan to write a detailed account of the company’s history and accomplishments, which they then used in various promotional mailings. Is it time to update the content on your website?